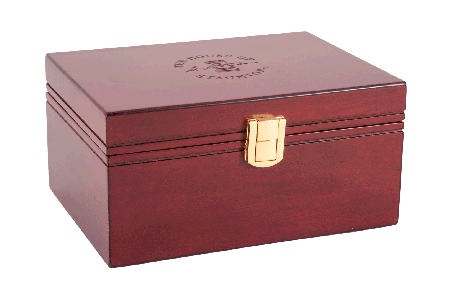 Browse the wide selection of these beautifully crafted wooden chess boxes from The House of Staunton. 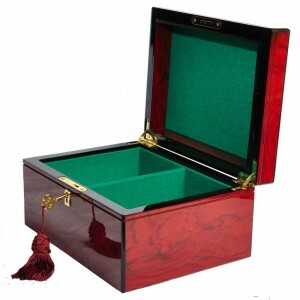 Protecting your chess pieces is essential. 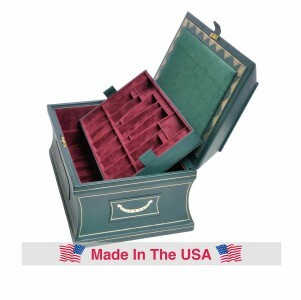 You will not find a better way to do that then the chess boxes from The House of Staunton. 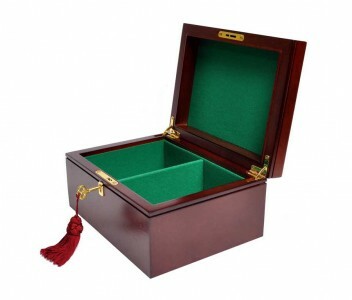 These wooden boxes provide a high level of protection for your chess pieces and are a good way to keep your chess pieces stored when not in use. 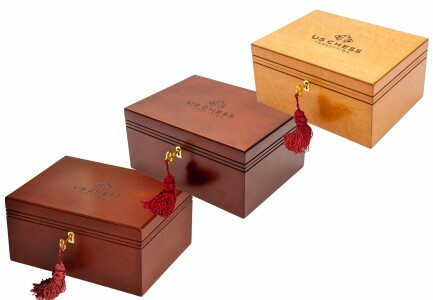 These boxes come in a variety of sizes and styles. 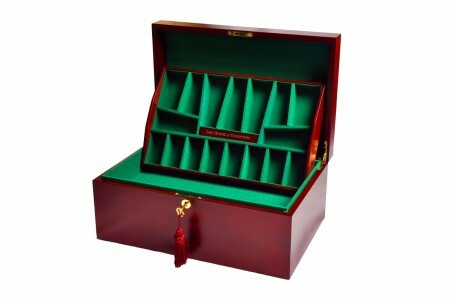 Some of these boxes include large coffers, slide-top boxes, premium boxes, fitted briefcases, standard coffers, and standard boxes. 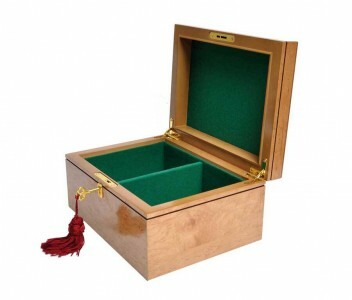 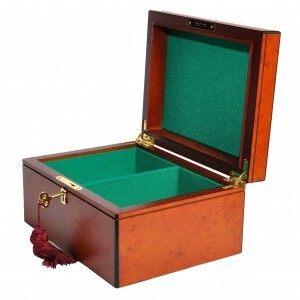 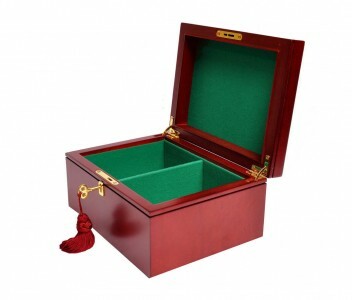 A majority of the boxes are lined in green billiard cloth and features brass quadrant hinges and a lock and key. 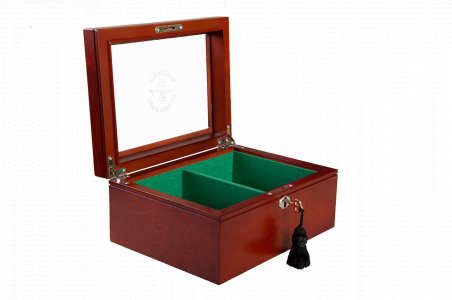 The large, fitted coffer boxes provide your chessmen with their own individual compartment so no pieces are touching each other for maximum protection. 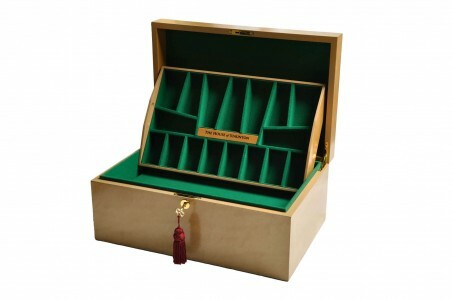 The slide top boxes are smaller than the coffers, and includes removable Green "Pillows" for each of the divided compartments that will allow it to safely store small chess sets. 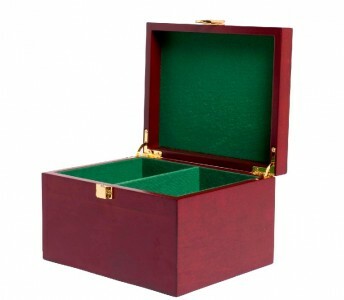 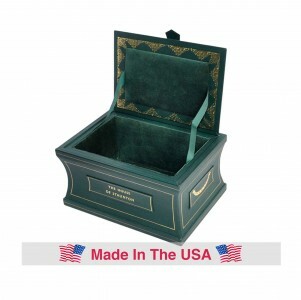 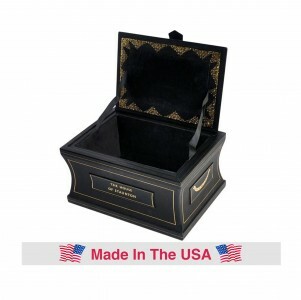 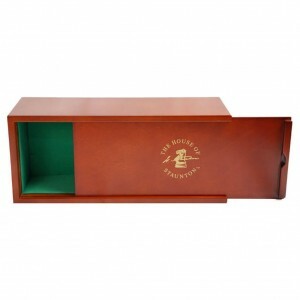 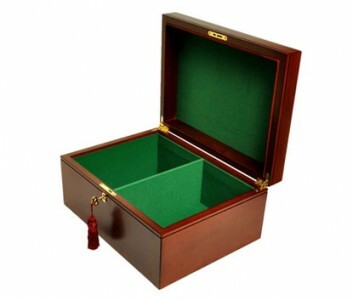 The premium boxes are lined in green billiard cloth, they are divided, and they feature brass quadrant hinges. The fitted briefcase provides each of the chess pieces their own individual form-fitted compartment.